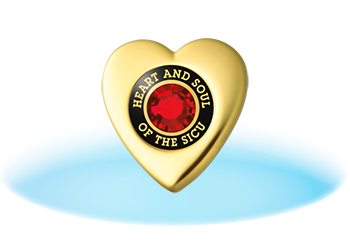 Now it is easy to give custom recognition to honor and inspire your Critical Care team. 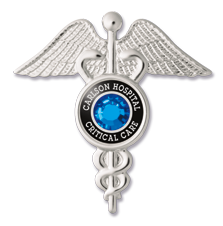 Our quality lapel pins are made in the USA with Your Wording and Swarovski® Crystal or Your Logo. Each pin is made with solid brass finished in gold or rhodium, plus they are customized FREE on 10+ alike.